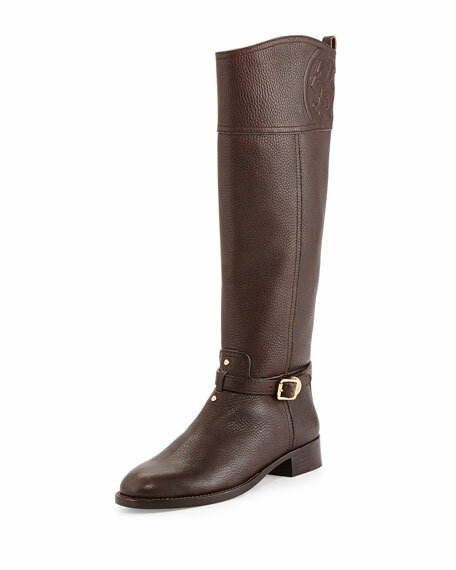 Ride into fall with the equestrian-inspired "Marlene" knee boot from Tory Burch. 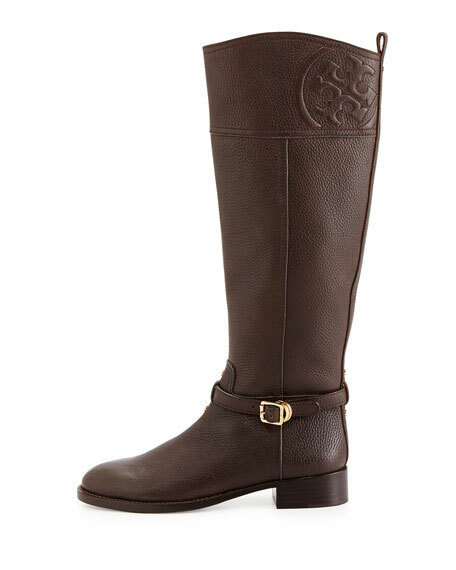 Tory Burch pebbled leather riding boot. 1 1/4" flat stacked heel. 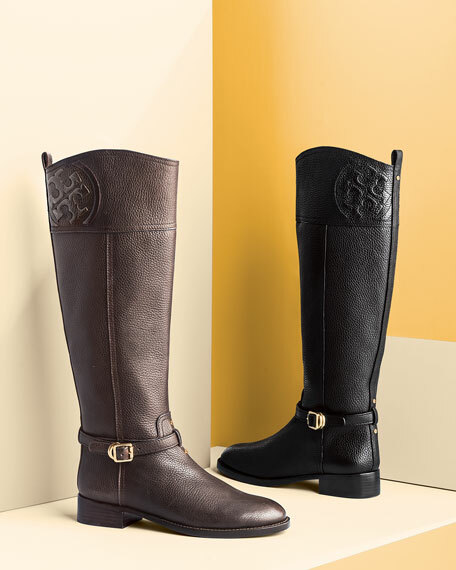 Embossed Tory Burch logo stitched at shaft top. Belted ankle strap with screw accents. Full length side zip for ease of dress. 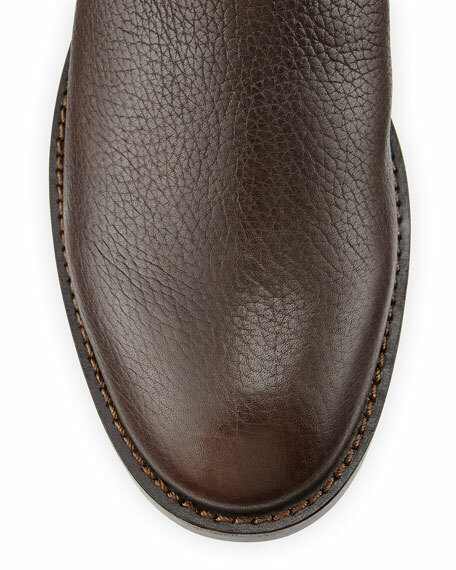 Stitched welt trims round toe. For in-store inquiries, use sku #229469.